It was not long ago that moving through the travel process was weighted down by a patchwork of information spread across different systems with no central way to automate. Current trends in travel technology have offered a range of solutions to those issues including travel apps, digital signage at airports, self-service kiosks and new mobile technology. This new travel technology and the cloud infrastructure that supports it is like a “cloud” lifting up travelers to seamlessly move through the travel process. 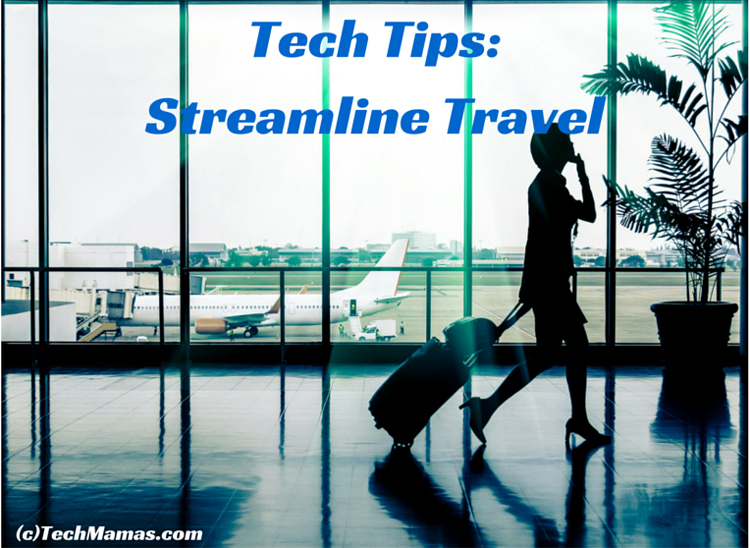 Listed below are some key travel tech trends that enable this smooth travel experience. Travel Apps: Travel apps have matured to the point that travelers can manage and support their trips from their smartphones. There are apps to discover crowdsourced travel destinations (Findery and Flipboard Travel magazines for example), find the best airfares/hotel rates, organize travel itineraries (i.e Expedia, TripIt and Kayak), manage multiple currencies, traverse different languages and map your route. In addition there are a range of transportation apps (i.e. Uber, Lyft, Rome2Rio ) that help to quickly book rides and discover other transportation options. Digital Signage:The Internet of Everything is a concept that describes the connectivity of objects to data and there is no better application than travel. The Samsung insights article on the IoT (or IoE – Internet of Everything) shared “…the future is looking brighter because of what’s being dubbed the Internet of Everything. The data and triggers from sensors, actuators, cameras, beacons, GPS and other connected technologies should take the sting out of lines and delays, reshape passenger experiences and streamline operations at busy airports in North America and globally”. The article also discussed using Digital Signage to help passengers with information including the shortest TSA lines, gate changes, bag delays, food delivery to the gate, connections and more. Instead of looking for that one screen that just shows arrivals, departures, and gate changes, airport signage can extend to offer travelers much more valuable information. Self-Service Kiosks: After years of traveling as a consultant, the one thing I dreaded the most was waiting in line to check in for my flight. The best of plans to arrive early at the airport never quite worked out, and I found myself squeezed for time waiting in lines that seemed to go on forever. Even frequent flier lines are longer lately. When I saw more self-service Kiosks at the airport, the stress was lifted and the check in process moved faster. Recent reports have shown that passengers prefer self-service kiosks and will even pay extra for them. Just think of how you would feel using a self-service kiosk to not only check in for your flight but also order the in-flight entertainment, food and WiFi with the touch of a screen. I look for these features in my flights and am also happy to pay extra to make my travel experience smoother. Mobile technology: While smartphones may be at top of the travel tool checklist, there are many other types of mobile technology that benefit travelers. Indoor positioning systems (IPS) and beacons help travelers with positioning information, especially when using a GPS is not an option. RFID (Radio Frequency Identification) enables smart tags that communicate with networks directly and NFC (Near Field Communications) allows devices to communicate to each other. These technologies can also benefit travelers. NFC allows smartphone users to perform in-store payments from their phone and could streamline “to go” airport food ordering for travelers. NFC technology is also designed into travel features such as luggage locks (Egee Touch Smart Luggage Lock). RFID has many beneficial uses such as the ReboundTag luggage tag to help you microchip your luggage. At the same time, there are multiple options to keep travel documents, such as credit cards and passports, private with RFID blocking wallets and even vests (i.e ScotteVest travel vest). There are also new smart devices including the BlueSmart “smart” luggage that allows you to charge devices, track distance, lock the bag and weigh the luggage with a built-in scale. What travel technology do you use when traveling for business or recreation? We have been traveling a lot as a family and one thing that has helped us it to bring external batteries to recharge our phones and iPads. This helped a lot as we love to take a ton of photos and videos and this uses up a lot of battery.